German Shepherds Get Over It! Agility Dog decal has a silhouette of a German Shepherd leaping over a bar jump, the text in a circle around the image. Amazing car window sticker for dog lovers! This fabulous German Shepherd Agility sweatshirt is a single color design set into a circle. The inside holds a silhouette of the German Shepherd dog breed jumping, with “German Shepherd Agility Dog” printed in a circle around it. 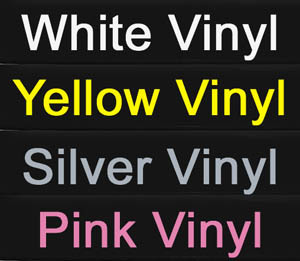 Choose the color of your shirt and the printing you’d like! This fabulous German Shepherd Agility tshirt is a single color design set into a circle. The inside holds a silhouette of the German Shepherd dog breed jumping, with “German Shepherd Agility Dog” printed in a circle around it. Choose the color of your shirt and the printing you’d like! Funny and adorable German Shepherd decal! This vinyl sticker reads, “Crazy Shepherd Lady,” and has a cartoon of the German Shepherd dog breed on the left. So cute! Tell the world how you feel about your little pooch with this unique dog lover sticker. Funny German Shepherd decal has a skull and crossbones style design with a dog wearing an eye patch. The text below reads, “Fear the Pirate Shepherd .” Hilarious German Shepherd vinyl sticker for dog lovers. Decal measures approximately 4.5″ wide by 5″ tall. Yarrr, it be the dreaded Pirate Shepherds! A skull and crossbones type design has the cartoon head of a German Shepherd embroidered above the words, “Fear the Pirate Shepherd.” A very unique and fun embroidered German Shepherd sweatshirt. Available in other dog breeds too. Yarrr, it be the dreaded Pirate Shepherds! A skull and crossbones type design has the cartoon head of a German Shepherd embroidered above the words, “Fear the Pirate Shepherd.” A very unique and fun embroidered German Shepherd t-shirt. Available in other dog breeds too. Angel German Shepherd decal with the dog breed silhouette wearing a wing and halo, with “Furever in my heart” underneath. Beautiful memorial vinyl sticker for dog lovers whose pets have crossed the Rainbow Bridge. This item can be personalized with the dog’s name for an additional fee. Please enter dog’s name in the personalization box. Max 12 characters. A circle of text reading “German Shepherd Agility Dog” surrounds a silhouette of the dog breed jumping. To either side of the canine is a star. A fabulous and decorative way to show off your agility shepherd! German Shepherd Agility License Plate Frame has a top portion simply reading, “Agility,” while the bottom has the dog breed’s name as well as two silhouettes jumping in opposite directions. A simple and easy to see dog agility license plate frame featuring your favorite dog breed. Terrific German Shepherd decal has a beautiful outline of the dog breed’s silhouette, with a rat’s beside it. Perfect way to show off the natural ratting ability of your canine, and be the envy of everyone else at earthdog and barn hunt. Everyone will want to know where you got that cool ratting sticker! Decal measures approximately 4.5″ wide and 3.6″ tall. German Shepherd embroidered hat has an outline of the dog breed with a rat beside it. Excellent ratting hat for earthdog, barn hunt, and other rat hunting dog sports. Choose your own thread color using the personalization box. No text is able to be added to this design. Simple, classy, and stylish German Shepherd embroidered apparel has a beautiful outline of the dog breed’s silhouette, with a rat’s beside it. Perfect way to show off the natural ratting ability of your canine, and just the thing to wear to trials in earthdog and barn hunt. Personalize this clothing with the dog sport stitched underneath, or your dog’s name and titles – just write them in the personalization box. This pocket sized design is approximately 4″ wide and can accommodate text above or below the image. Simple, classy, and stylish German Shepherd embroidered apparel has a beautiful outline of the dog breed’s silhouette, with a rat’s beside it. Perfect way to show off the natural ratting ability of your canine, and just the thing to wear to trials in earthdog and barn hunt. Personalize this clothing with the dog sport stitched underneath, or your dog’s name and titles – just write them in the personalization box. This pocket sized design is approximately 4′ wide and can accommodate text above or below the image. Put a German Shepherd stamp of approval on your vehicle, front door, laptop – most any smooth surface! This fun German Shepherd decal has a paw print inside a circle, with the text “German Shepherd Approved” around the outside. Fun dog lover vinyl stickers.